Finally, the day is here! ipsy has opened the waitlist for their Glam Bag Plus subscription to everyone in the US! For a limited time there is NO waitlist! 5 Full-size products from your favorite brands, personalized to you. Based on ipster feedback, Glam Bag Plus will now include more palettes and skincare products. Each Glam Bag Plus will have at least $120 worth of beauty and skincare products. Check out my reviews of ipsy Glam Bag Plus to learn more. Same. I subbed to both the regular and the Glam Bag Plus and I’m on the wait list for GBP. What a bummer. Is there anything additional I’m supposed to do? Is it just till May or to be determined? Ipsy glam plus won’t let me sign up if I don’t get the regular Ipsy box as well. I thought this was now open to everyone in the US? you have to be a ipsy member first, before you can do the upgrade. Then you can cancel/pause the regular bag. If you pause the regular Ipsy box can you still get the Ipsy plus bag? I caved & signed back up! (After canceling for a few months). I currently subscribe to Boxycharm, Book of the Month, fabfitfun, and now Ipsy Glam Bag Plus. I love subscriptions, obviously!! question: when I joined ipsy plus, it took away from what I had bought at ipsy…and its staying on the same site ever since..will this change..? and also, does glam bag show what products you are getting like regular ipsy did and when will I see it? sorry not use to this new glam plus stuff yet.. I am not sure exactly what your first questions is. Are you saying that now that you have updated to Ipsy Plus your regular glam bag is not showing? If so, you can add the regular as well as the Plus. They will display in separate tabs and you can manage both subscriptions. For seeing your spoilers for the Plus, yes, this works the same as the regular Ipsy. Typically Spoilers become available to view in the morning of the 2nd of the month. thanks blondie 1021…it does answer my questions…thanks for the answers..by the way years ago in the early 80’s I had a friend named blondie, her true name..
OMG…That is so funny…we have to be friends on this site. later tammy..
Is anyone else having problems with the ipsy app not loading on their phones? I deleted it and reinstalled it and restarted my phone and it still won’t load. It loaded just fine a few days ago and now it opens but won’t load. Mine was working fine this morning when I went in to check on my shipping. Tempting. But I wish I could get it every other month or even every three. Full size every month is just too much stuff – there’s no way I use it up that fast, and I don’t want multiple half-used bottles of serum sitting around. Even the samples from regular Ipsy are piling up. And I’m not interested in the May spoilers at all. I currently have the GBP and there’s an option in your account settings where you can select to receive it every other month. They also give the option to pause for any length of time between 1 month and 3 months. I watch the spoilers every month and decided whether or not I want the box for that month. I’ve gotten some great boxes that way without having product overload. I just signed up for GBP, and I intend to watch the previews as well. I’ll try not to purchase more than half the GBP boxes. I was (sort of) hoping that would be the case. I’ve paused Ipsy a few times and it helps a lot. So I caved, but now it just says I’m on the waitlist. Thought that was the point of this whole exercise – that there wasn’t a waitlist for now? By the time of your post, it was 3 days after the article posted. They probably closed it by then. You can pause any given month and/or set your preferences for every other month, etc. I evidently have an addiction! 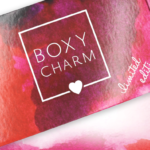 I didn’t really need another beauty box – I already subscribe to Boxy Luxe, New Beauty Test Tube, Beauty Fix, Allure, Boxwalla, Birchbox and now have upgraded to Ipsy Glam Bag Plus from the regular Ipsy. I also subscribe to Allure, Boxy Luxe and New Beauty Test Tube as a gift to my 23 year old daughter who is an esthetician. I have cancelled Sephora Play! and Fab Fit Fun, but couldn’t resist this. I need an intervention! I couldn’t pass this up! Plus it gives me even more motivation to cancel Allure which has been disappointing lately IMO… I’m keeping Birchbox though. That’s just how it is , guess procuring your spot , but they’ve never cheated me . They usually take the money out around the first and I get the. Favor box 2 weeks later , as far as new people to sign up they automatically charge you first then send you the box . As I said just protecting your spot and getting your subscription ready. question: when I joined ipsy glam plus on april 8..and they take the money out of my account asap..then they say I will get this in may..why do they take my money now. for about 6 weeks till I get my box? that just doesn’t seem right? It’s just the way Ipsy is handling it. Think of it this way, you will not get billed again till June 1st. They did the same thing when I got my Plus. I get what you’re saying though, it’s not really normal to pay for something then have to wait that long to actually get it. I do enjoy BC even though they have some wild color months overall I enjoy their sub, it’s not always going to be a great bag or box with every sub. As I realize and sometimes we have to move around a little to find what works . I love skincare but even there BF and TT have been a let down this month and next so there on hold and I moved on to another . Wait what is bf and to?? Oh ok thanks so much for responding 🙂 but I figure if I don’t get something in one box I really want I might get it in the other . I’ll give it a try and see what happens bc I get so disappointed when I want something and open the box to see it’s not there it’s a disappointment , I realize that’s the name of the beauty box game however I might increase my odds by getting two separate boxes . It doesn’t hurt to try . I did opt out of eyeliner and nail polish . I signed up too! I’m good with skincare and now looking for a regular makeup box. I just subbed BC for 2 months and as a 40 yr old woman this box is not for me. I received a holographic clear lip gloss and a purple holographic powder. I’m hoping Ipsy is more my style and taste since they send out products according to your profile. Stephanie, I’m late 40s and dropped BC after 3 months because nothing was suitable for me. IGBP is awesome and so much better for me! Hope you love it too! So good to hear! I’m 50 and have had the same issues. Just subscribed to the Plus…looking forward to seeing if this works better! Ohhh so if I love a particular product and give it a Good review I’m likely to get that brand again? Where do you see that information? I have never noticed anything telling me because I reviewed something, that they picked this other thing for me. I’d love to know where that is to check it out. I’ve never seen this either? IGBP is definitely a favorite of mine, and I’m generally very happy with their selections for me. However Ive never seen where it says due to my review of something they chose a specific product for me? Anyway, they do a pretty decent job pairing me with products overall. I have considered doing this. I think that even if you fill out both profiles differently, due to the more limited variations possible of Glam Bag Plus, the likelihood is high that one would get at least a couple of duplicates, imo. So far, they haven’t really had enough variation of products where you won’t get duplicates. There’s a good chance you will get many of the same items in both. Just signed up, cant wait to try it out!! So my box just came for this month and my boyfriend claimed my eye cream, the palettes are going up for trade, and I think I’m gonna give the cleanser a try and I love the brow highlighter pencil, BUT my add ons are not in the box!! ☹️ I added on the 111 skin serum, it cosmetics concealer, and a fan brush. I already emailed ipsy CS and I’m sure they will make it right as I’ve always had great experiences with their CS Dept. Of course, I look forward to them every month 😀 it’s still a limit of three though. Ugh I’m always having problems with my add ons being missing ! Almost every single month but they’re always very good about sending you out the product that’s missing and if it’s out of stock they refund you. This morning I got an email that my glam bag plus shipped out but they realized one of my items was missing so they’re sending it to me. So I’m glad they’re accountable. Ipsy has by far the best customer service I’ve experienced with these boxes. Yes, they definitely have great customer service! I got the same email after I sent one about the missing products and broken palette and I also got another email from them saying they are replacing the palette 😊 I’m a happy customer! I also signed up for a second account yesterday with a completely different profile so hopefully I can get an eye cream and keep it once in awhile lol. My bf is always snatching them up! Ipsy emailed a couple of days ago saying they left something out and will ship it separately. I got my box and it’s the add-on that’s missing. I imagine they sent a lot of boxes that way. So I was charged imediately and then it says my first bag will be May’s bag instead of April. Does this mean I’ll get charged again in May? Charged twice for the same month? How does that work anyone know? I’ve read on Facebook from Ipsy CS that no you will not be charged again for May box. But personally keep an eye out so aren’t charged again. Just in case. Nope, you shouldn’t get charged again until the June box. BUT I know for regular ipsy, sometimes they say they’ll send you the same month’s “if it’s available” and then you get charged again for the next month for the next bag. Well I finally took the plunge! I’m hoping I get a lot of makeup in this box and I’m eager to see how they customize. I love all the boxes I get but I don’t like most of the makeup as it’s darker lip colors and shimmery shadows. This months Allure box is the perfect lip color for me and everyone hates it. Hoping I get lots of stuff I’ll love. I signed up, I’ll be canceling my Allure to try Ipsy GBP instead. Here’s hoping it’s great! FYI: I just got an email from Ipsy Care telling me that my Glam Bag (regular, not Plus) Reveal matched me to “the wrong products” and now they’ve changed. I don’t know if this happened to anyone else. Personally, I’m really unhappy. I was supposed to get the 111Skin product and I was thrilled to be getting it (I always want that brand but that would have been the first time I’d get it) but now I’m not. NOW I’m getting a Laura Sanchez shadow which looks like a match to one of the shadows in the palette I’m getting in my GB Plus. They said they’d give me 250 pts to make up for it but I haven’t seen those pts show up yet. Also, no way is 250 pts worth that 111Skin product. Ipsy made it right! I wrote to them, letting them know how psyched I was to get the 111Skin and how disappointed I was that I wouldn’t be getting it after all. They wrote back saying that they would send me the 111Skin as an extra. I think I,ll Sig. back Up For regular Ipsy,Canceling Boxycharm. Always Get a Variation I don,t care For. I got the email today, and since there was the option to cancel the regular Glam Bag, I thought why not? I did, though, come here to look at the May spoilers and saw some items of interest. Signed up once I saw that we could keep both subscriptions on one account. I wish there was a “never” option on their updated beauty quiz, but that is really only a minor complaint. If you email Ipsy Care, they will opt you out of two items of your choice. Like, if you say no mascara and black eyeliner, you’ll never get those items? You can say no mascara and no eyeliner, but you can’t say no black eyeliner– that is, you can’t specify by color. When you personalize your preferences is that when you choose rarely ? Yes, when you fill out your beauty profile to help “personalize” your box that is when you choose which product types you want to “rarely”, “sometimes”, or “often” get…. at least I think those were the 3 options. I paid for the regular Ipsy bag and added on an eye cream which I was charged for. I haven’t received the April bag or add on. I just upgraded to Glam Bag Plus and my regular account is no more. What will happen about the amounts I was charged? I was worried about this, too. I poked around the website a bit. I was able to locate April glam bag tracking under the following tabws: Account —>Edit account settings —> Membership. It looks as though my April Ipsy will ship 8th – 10th, presumably including my add on. Me too! I got rid of Boxy and jumped onto IGP! Judging by the fact that there are a LOT of spoilers for May chances are good that it will be like the regular ipsy bag we know and love but full size and the numerous variations mean that they don’t overburden a single brand with having to provide product to all the members at once. At least that’s what I’m hoping. I got rid of Beautyfix – I love skincare, but want to get more of a variety. This is a welcome change! Thankyou I did not know that! This sounds like such fun but I really love the little samples with the makeup bag and it sounds like if you order this one you will not be getting that one any longer. I think I would be more apt to choose this one if they included a little makeup bag with it. You can have both on the same account now. It would be overwhelming if I were getting bags from both my Ipsy subscriptions. I’ve been getting GBP since October. I added back the classic bag for April, ONLY because I wanted the lemon bag. That will be my determining factor for if I get the classic bag or skip it and only get GBP, for any month. Thankfully, you CAN skip with them. That’s exactly what I am doing 🙂 I was missing the little bags so I added them back in February but didn’t really care for the Lemon bag, so I skipped April. Yes, was wondering when MSA would post, saw posts about this on Reddit the other day. Fortunately my second Ipsy account already got off the waitlist in April for me to have 2 IGBPs. Now IGBP has lost some of its exclusivity; just hope the quality doesn’t go down or shipping times are not affected because of all the new subscribers. I have been a member for 3 years and they wouldn’t let me sign up unless I went through facebook! I hate facebook so they didn’t let me sign up till this month! I’m with you, I really hope it doesn’t go downhill from here. IPSY knows Boxy is going to release its skincare box soon so it opens up the waitlist for Ipsy Glam Bag Plus first. Smart Ipsy. Lol. The skincare box is LE. It’s not a continual thing. If I sign up today and my first IPSY plus bag will be May, when will I be charged the $25? I can’t seem to find this answer anywhere. You will be caharged at the time you sign up. I signed up last night and was charged immediately. Wonderful thank you all! So then the next charge should be June 1st? Yes, there’s a note on the website that GBP will be charged the first of the month starting in June. Just confirmed with ipsy, you will be charged now when you sign up. Hope that helps! Thank you for your speedy response! I love MySubscriptionAddiction!! You’ll be charged now most likely for May. I signed up yesterday and was charged immediately as well! I commented about this yesterday or the day before on the Spoilers post, and I see my comment never showed up. Also mentioned it was giving me a free bonus gift, full size Huda Beauty lip strobe (but it had pulled up an old account for me so I’m not sure if everyone will get this). This is hands down my favorite subscription. I don’t love every product every month, and of course there are months I like better than others, but if I go back and look at every box I’ve gotten since November and ask myself, if this was a $25 bundled Ipsy offer would I buy it, the answer is yes every time. Fabulous value for the money and several of the products I was not excited about initially turned out to be favorites once I tried them. If I had to cancel every subscription but one, this is the one I would keep. I figured the Huda is worth $10. I think I can pause too if I decide I don’t want May. Right? Also thank you as always Liz! Wow, I should’ve done that, it says the Huda lip is worth $18 on my ipsy email. Well I went to sign up since I’ve been on the waitlist and apparently my box is in transit. I had no idea as I never received an email or tracking for that matter. Finally- I cancelled Ipsy to wait for this to become available. Funnily enough they offered me a free full sized Huda Beauty lipgloss to sign back up for April so I bit and now I’m all set for glam bag plus for May! Yay! So excited!!! Finally! Signed up with the wrong email last time for the MSA waiting list and have been waiting patiently. I just ended my Boxycharm subscription so I will give this one a try! I hope there is some customization and I don’t end up feeling like I’m getting throwaway products. Excited for the May bag! For me it’s been a little more customized then boxy was. Since they dont have a huge load of variations, it is within reason. Just make sure to keep up on your reviews and profile. I found myself with boxy usually only excited about one item and the rest were filler, with my glam bag plus I’ve been happy with the majority of every box. Great to have your stamp of approval, Liz!